... hanging garden by shinji turner-yamamoto. 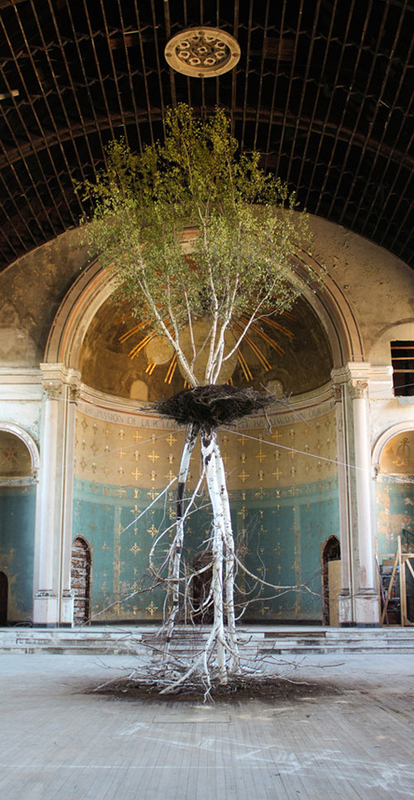 what a stunning place for an art installation... currently on view at the abandoned, 19th century holy cross church in cincinnati, ohio. wow...how incredible! Thanks for sharing. i love this image. your blog is a lovely place to get inspired peggy. hope we will meet up sometime!